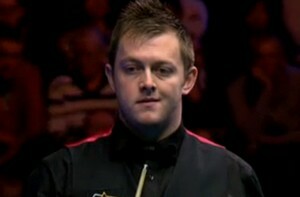 Mark Allen beaten Ricky Walden by 9-7 from 3-5 behind to through to his first ranking final. Allen took the scrappy first frame cleared from the last red to final pink. Walden made an quick response by giving a beautiful 124 clearance to level 1-1. However, Allen took the next three with 85 and 54 to go 3-1 up at the interval. Walden grabbed important frame 5 which might be the turning of the match - Walden missed easy black at 60 to let Allen it but Allen had the cueball off when he was on the final green to miss the chance going 4-1 up. Walden won the next to level 3-3 with 66, the game is still on. 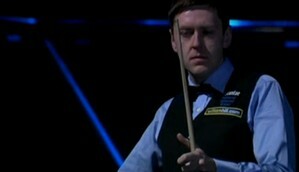 Confidence of Walden was boosted he took the last two as well to lead 5-3 to end the first session. Allen stormed to win the first two frames of the night with 43 and 79 without missing a ball. Two frames advantage of Walden was gone but he had a chance to be 6-5 up but he missed a crucial brown at 60 which allowed Allen to clear to lead again. Allen took all four frames before interval to go 7-5 up on Walden. Allen reached the match point after Walden pull one back. The Northern Ireland player looked to set to win the match at 54 but Walden gripped the lifeline with clearance of 65 to trail 7-8. Allen did not hang loose winning the big match with 70. He will play Trump in the final tomorrow. This is a symbolic victory for Allen. Allen has not yet through to a ranking final in his five attempts before. This time he made it through to the final. This will be an awesome and all-attacking-snooker final. Two left-handers, who will be the new winner of UK Championship? Find out the answer tonight.